Wow, Christmas is coming up quickly! Already it's a week into December and we haven't done any Christmas shopping yet...we may have been busy enjoying the vast array of new seasonal beers. 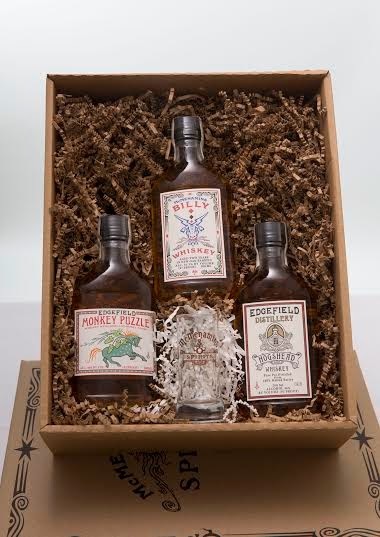 McMenamins Whiskey Trio Pack with 200ml bottles of Billy Whiskey (new! ), Monkey Puzzle and Hogshead Whiskey. McMenamins Hot Buttered Rum Pack with one 750ml Three Rocks Spiced Rum and hot buttered rum mix. 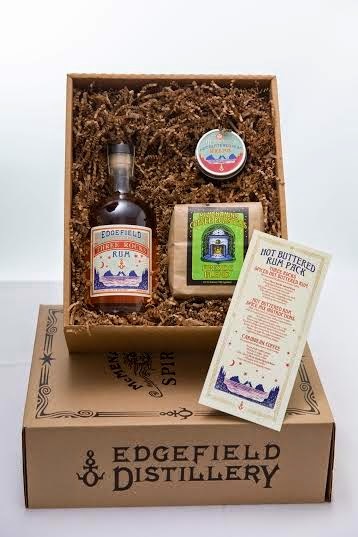 McMenamins Phil & Satin’s Cosmic Coffee Kit with coffee liqueur, Phil Hazelnut Liqueur (new!) and house-roasted coffee. Some great local beer books just hit the market and would make a great stocking stuffer for your favorite beer nerd. 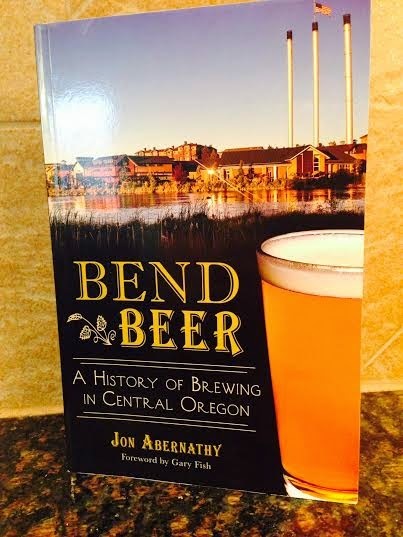 Our friend Jon Abernathy of The Brew Site, based in Bend, has written a book called Bend Brewing:The history of Brewing in Central Oregon. We bought one the other day from Jon at the PDX Bottleshare and we're looking forward to reading up on the history of the Central Oregon brewing scene. 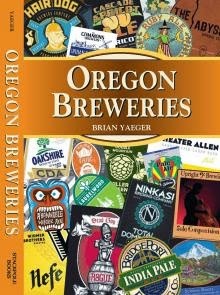 Portland resident and New School contributor Brian Yaeger has released a book called Oregon Breweries. Oregon Breweries is a guide to the breweries of Oregon State, featuring 190 breweries and brewpubs. Each brewery profile includes individual background on brewers and owners, styles and brands brewed, and regional visitor information. It also includes information on forthcoming breweries, local beer events, top bars and retailers, and more. Find it on Amazon here. Or look for local events to pick up a copy. Last item for the 2014 list is growlers. Not boring glass growlers but Hydroflask growlers, which are produced in Bend. They come in two different sizes, 32oz and 64oz. Our Hydroflasks are our go-to for getting beer fills and we're never without them. 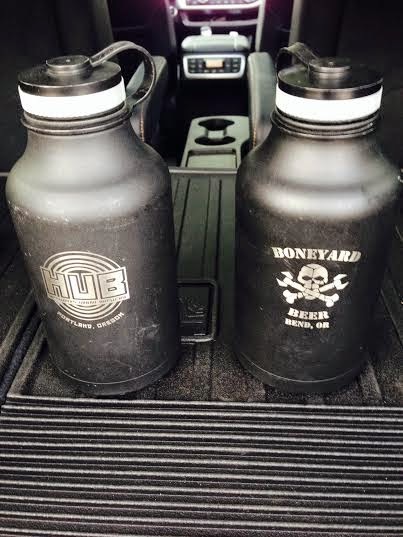 We own two of the 64oz growlers that we bought at HopWorks and Boneyard Brewing during visits. You can find Hydroflasks at various breweries or you can just buy a non-branded growler from them online. Either way, once you get or give an insulated stainless steel growler you won't ever want to go back to glass. 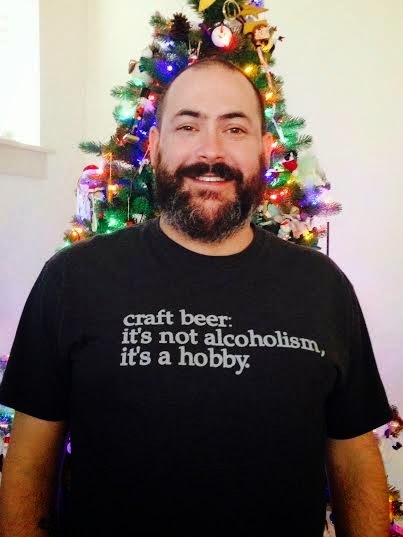 We hope those suggestions help you shop for the craft beer connoisseurs in your life! Or, maybe you found a couple things to put on your own list for Santa. Now, we have some serious shopping to get to.